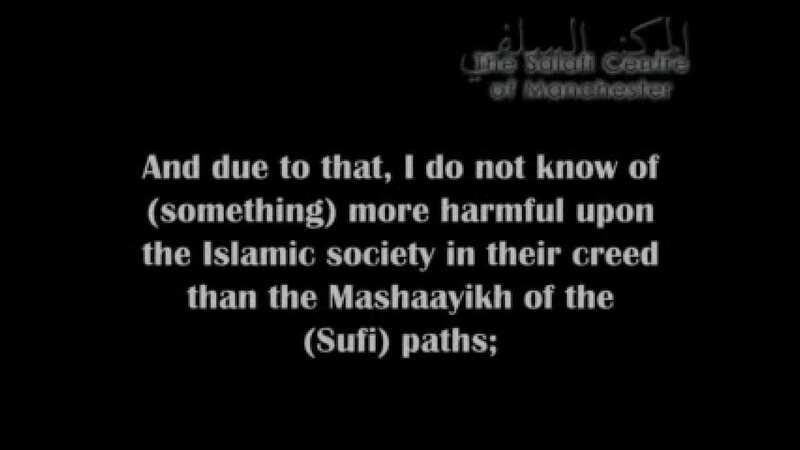 “And due to that, I do not know of (something) more harmful upon the Islamic society in their creed than the Mashaayikh of the (soofee) paths; because the Mashaayikh of the (soofee) paths corrupt the creed of the society and they affirm attributes for the creation that cannot be affirmed except for Allaah; Knowledge that encompasses the knowledge of all things; hearing that encompasses all things that can be heard (or not heard by humans); ability, having an effect [on things– with regards whether that can occur or not] and controlling the affairs. They (i.e. the Mashaayikh of soofiyyah) affirm these meanings (attached to these terms or words) without hesitation. Everyone who has had contact with them perfectly knows this from them; rather according to them this is a trait obligatory upon a Darweesh* (i.e. a member of that soofee path that engages in dancing, turning round and round, waving their arms about etc), a Mureed* (i.e. a partisan disciple of a soofee path or soofee leader, who follows without questioning) and a Khaleefah* (i.e. the successor of a soofee path or previous soofee leader or the leader of a soofee path) that they have to fear the great Shaikh (i.e. the greatest religious guide); the one (with true) knowledge of Allaah; Al-Waasil ilal-laah (the one who has reached Allah); that is to say: the one cut off from Allaah, the one through whom a person gets close to Allaah—he is to be feared with this fear. And that is (i.e. this belief of the soofees) is to be cut off from Allaah. This (belief of theirs) is another religion other than Islaam. 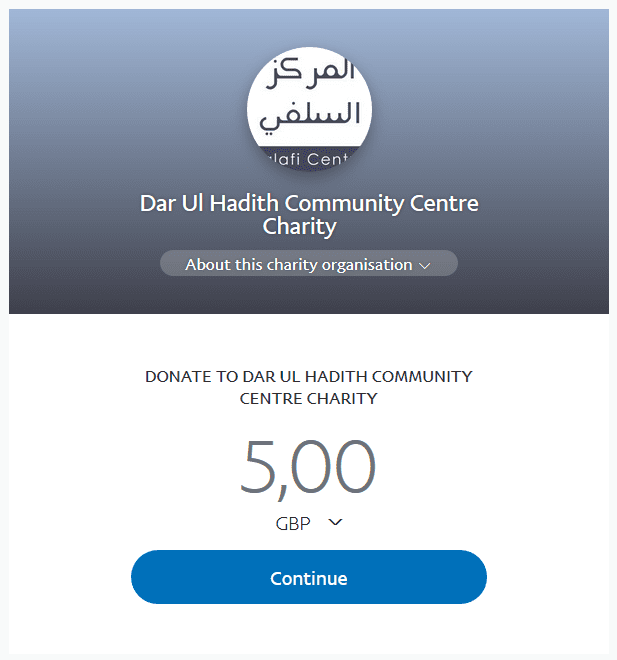 They corrupt the religion of Islaam and they corrupt the hearts of the slaves (of Allaah). And for that reason be mindful; do not be deceived by (their) outward appearances, (their) prolonged glorification (of Allaah) at times… (Words unclear)…. Do not be deceived by these outward manifestations. These outward manifestations are a deceit. These people are from the most evil of people; they are from the most evil of those who ascribe themselves to Islaam; they are the most harmful to the society. I do not know of a similarity for these people; because I lived with them in my childhood. Take hold of these secrets; from the earliest (days) of my youth, I used to be in their nurturing; but Allaah saved me and I know about them that which others besides me do not know. Be mindful of these people, they are present.